As I searched various references to the Akashic Record, I came across a book titled, “Science and the Akashic Field – An Integral Theory of Everything,” written by Ervin Laszlo. Laszlo was a Ph.D. scientist who had been nominated several times for a Nobel Prize on the subject of the vacuum physics and the zero-point field that underlies space itself. I ordered a copy of Laszlo’s book and I read it a few days before my trip to Idaho to see my friend Bob. I highly recommend Dr. Laszlo’s book, and I found it fascinating. In it he provides a summary of the latest scientific theories related to the Theory of Everything, and he proposes his own theory that focuses on the concept of an Akashic Field that permeates empty space. As I read through the book, I learned about String Theory in physics which postulates that matter consists of vibrating one-dimensional filaments. The vibration occurs in hyperspace, and some variations of String Theory propose multiple dimensions up to as many as 10 to 500th power. That is 10 followed by 500 zeroes. That’s a lot of a basketballs. Stephen Hawking of Cambridge and Thomas Thertog of CERN came up with a theory they called the Observer-Created Universe. 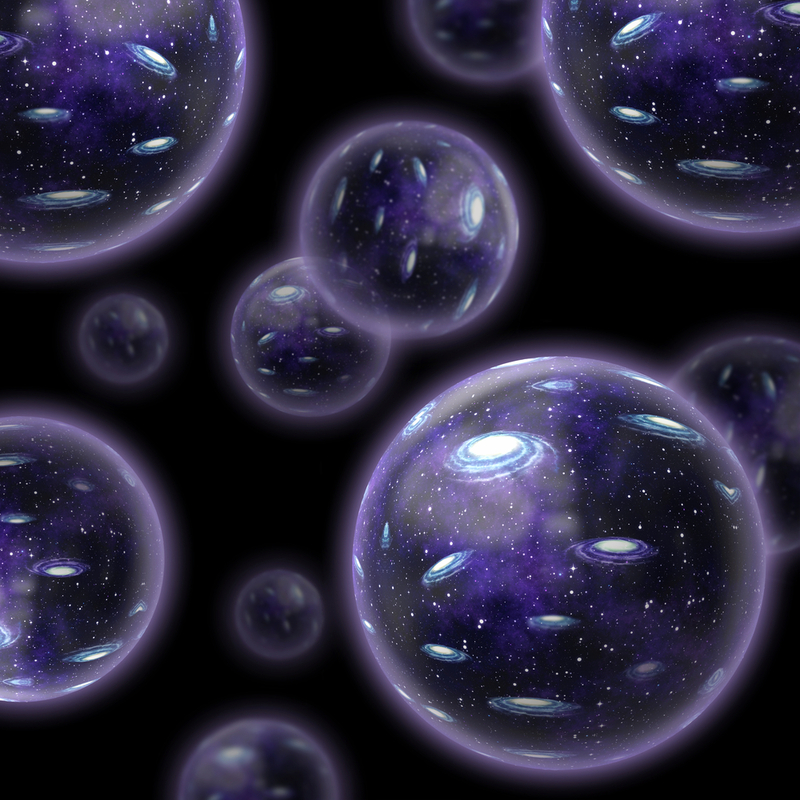 Every possible universe exists simultaneously in a state of superposition. As human beings, we select the path that leads us through our own unique universe. There is no definite initial state for the universe, no starting point and no boundaries. All of these theories seemed to describe the basketball universes I had experienced. Each basketball was an ever-expanding “now” created by an individual person. The place where I viewed the basketball was outside of time and space. It could be considered to be empty space, but I had sensed that there was an intelligence that filled the emptiness. To understand the nature of this intelligent space, you have to explore the micro as well as the macro. The book described the latest in quantum theory related to subatomic particles. 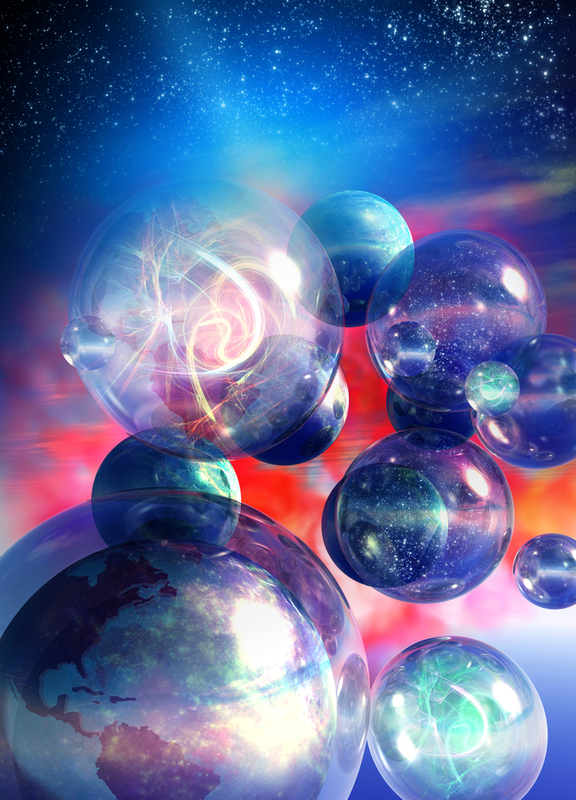 The smallest identifiable units are not separate realities, but are specific forms of underlying non-local energy fields. Some appear as matter, some appear as force, and some appear as light. But they are interlinked, so no matter how far they are separated from each other, they can simultaneously communicate with one another. 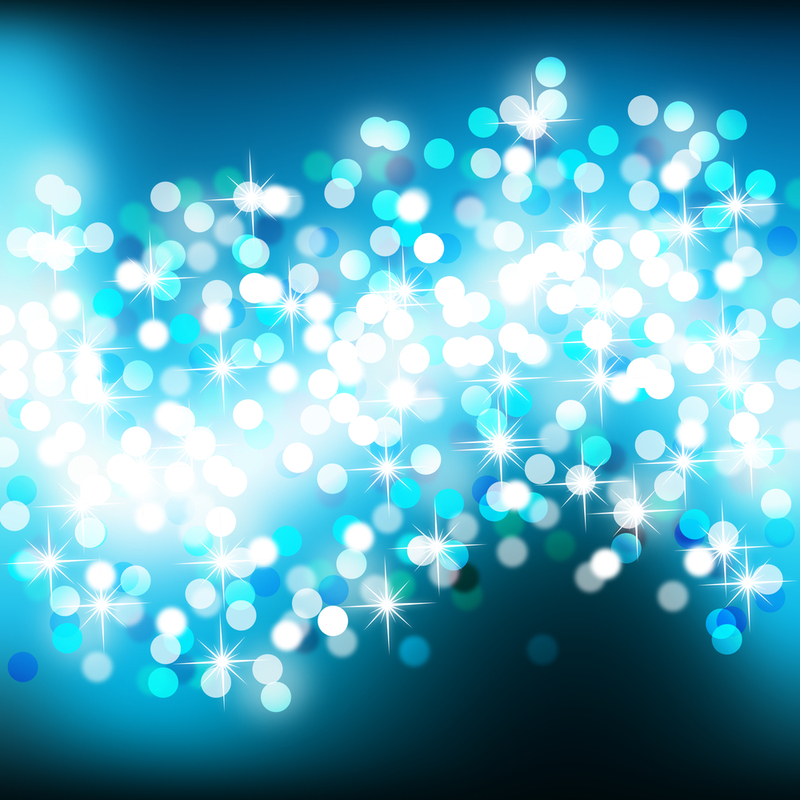 The particles that make up reality are not mass points like tiny balls of matter. Instead, they are waves. All visible order in the universe is determined by interference patterns in those waves. Particles and atoms are not individual; they are entangled, so that they are not just here and there, they are in all places at the same time. Their non-locality respects neither time nor space. It doesn’t matter if they are millimeters or light years apart or separated in time by seconds or millions of years. Cutting-edge particle and field theories have as a foundation a virtual-energy sea known as the Quantum Vacuum. In this vacuum, there exist particle-anti-particle pairs that are generated in and emerge out of the vacuum. The quantum vacuum contains information or parameters that govern the evolution of the universe’s basic elements into complex systems. Regarding the Akashic Field, Dr. Laszlo pointed out that space has energy. It has the ability to allow the transit of light waves, gravity, and pressure wave pulses from black holes. Scientists have found that there is more gravitational pull in the universe than there is mass, so there is missing mass somewhere. Plus, observations by physicists and astronomers have found that the universe is expanding. All of the billions of galaxies that have been discovered are all moving away from the earth uniformly in every direction. In other words, the space between them is expanding and the energy for this expansion is referred to as dark energy and the missing mass in the scientists’ equations is called dark matter. In the book, Laszlo’s Theory of Everything focused on the Akashic Field as the quantum vacuum that interconnects everything. Dark energy and dark matter which have not yet manifested into the physical universe vibrate and cause interference patterns that result in the matter of our physical universe. The very stability of atoms is due to an interaction with the vacuum. Laszlo says that like the subatomic particles, all the stars and galaxies are interconnected by the Akashic Field. As stars are created, and as galaxies form, they use information from the Akashic Field as their guide. Laszlo goes on to ask that if the subatomic particles and galaxies are connected by the Akashic Field, why would this not also apply to consciousness? Laszlo pointed that transpersonal experiences such as telepathic powers, spirit healings, and even past-life experiences could all be proof of the interconnected nature of consciousness in the Akashic Field. If the place that stores the basketball universes is really the Akashic Field, then my response would be that definitely all consciousness is interconnected there. Every physical experience in this reality as well as every probable event is stored there The information that is stored there is the “pattern” for creation that I had experienced at the end of the silence program, when I realized I was creating my own basketballs and was thus responsible for creating my own version of the universe. We rely on a universal pattern of information in order to construct our reality. Laszlo was taking this concept even further by suggesting that stars, galaxies, and subatomic particles rely on this same information as they manifest out of the vacuum into our physical world. They also create themselves from the pattern stored in the Akashic Field. In addition to how creation occurs, the book also discussed the concept of dissolving back into nothingness through a black hole. I learned that a massive black hole had been discovered at the center of our Milky Way galaxy, and it was theorized that every galaxy had a black hole at the center. Laszlo believed that black holes transferred matter back to the virtual state of the Akashic Field. This information about black holes confirmed another of my experiences, when during the Death Meditation I had left my body and journeyed out into space to the center of a rotating galaxy where I found the tornado-bathed-in-light. I had thought that the shining vortex could be considered a black hole, and now I was seeing where scientists were confirming that black holes exist at the center of galaxies, and in fact their immense gravity was what held galaxies together. Because I let myself go into the tornado-bathed-in-light and was transported to the dark void filled with basketball universes, I can now better understand Laszlo’s idea that black holes are a passage way to the Akashic Field. Once you are there, you can do anything – travel anywhere in the universe instantly, go back in time, or venture boldly out into the future. During the meditations and processes with the mystic, I had also seen visions of the inner working of atoms and subatomic particles. In my experience, there was also a tiny tornado-bathed-in-light at the center of the nucleus of an atom. As I read more of Laszlo’s book, I found theories that confirmed this concept. Two Russian physicists, Shipov and Akimov, had a theory that charged virtual particles in the quantum vacuum create minute vortices resulting in a rotating wave packet of electrons and positrons. The vortices carry information, linking the particles at one billion times the speed of light. The vortices these scientists were describing sounded like tiny light tornados to me. At the conclusion of his book, Dr. Laszlo presented his own Theory of Everything that tied together eastern philosophy with the latest scientific theories about the quantum vacuum. In eastern philosophy, Akasha is the all-encompassing medium that underlies all things and becomes all things. Akasha was the womb of all matter and force in the universe. Prana, was the sum total of all forces in the universe, mental or physical, when resolved to their original state. I had often heard the mystic describe Prana as “life energy.” Laszlo suggested that life did not exist by chance, nor was it imported from somewhere else. Life is informationally seeded from the Akashic Field by life wherever it exists in the universe. Our minds and bodies make waves, carry information, and propagate the vacuum. 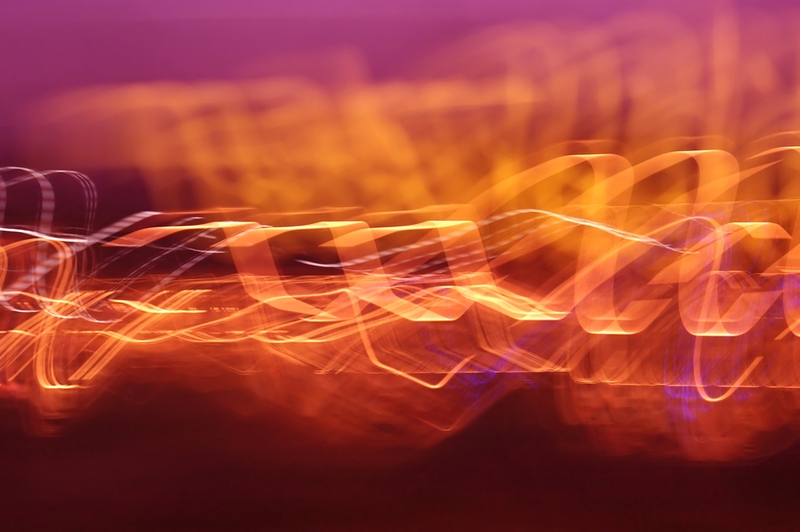 The interference creates complex holograms that we see as reality. Generation after generation of humans have left their holographic traces in the Akashic Field and that information is available to life everywhere else in the universe. We can tune our consciousness to resonate with the holograms in the Akashic Field, and access this great information repository. By accessing this information, our consciousness is evolving. Dr. Laszlo predicts the emergence of a super consciousness in some individuals as the next step in our evolution. To me, the idea of holographic traces left in the Akashic Field was just another way of describing the basketball universes I had seen. And according to Laszlo’s theory, life energy existed inside the Akashic Field. I compared this idea to my experience of the True Self that lived among the basketball universes, living life after life as a human being but remaining always in this timeless place. Laszlo seemed to verify my experience by saying that the Akashic Field is a type of cosmic consciousness and is the source of all consciousness. 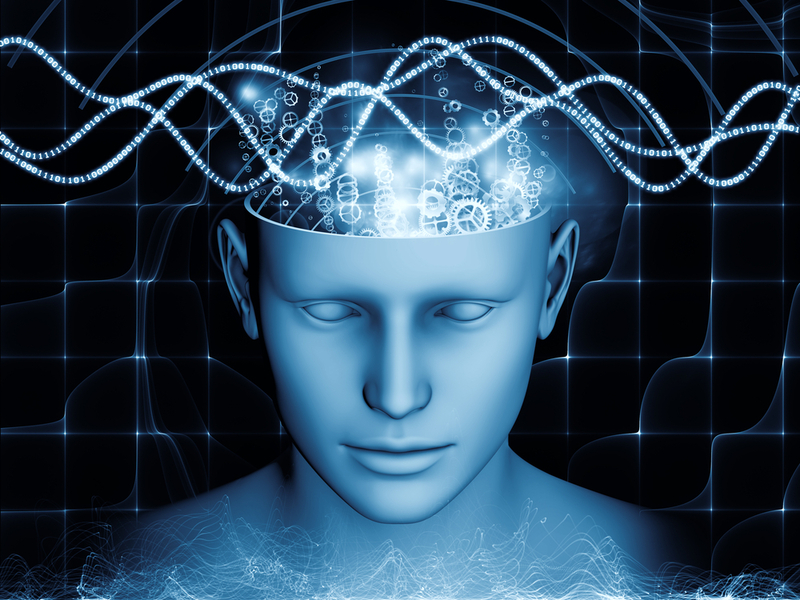 The waves from this consciousness result in interference patterns that are picked up by our brains. The source of our consciousness is not within our bodies, our brains just act as receivers like a radio. The transmission comes from the Akashic Field. We have the ability to tune our consciousness so that it can resonate with all of the holograms in the Akashic Field. However, most of us have lost the ability to tune into anything except the holograms of our own creation. So much of the unexplained paranormal experiences in this reality can be explained by this concept. From past-life memories to communication with the dead, to the very concept of immortality of our consciousness, the common answer to all of it is an intelligent living Akashic Field that has always been our celestial home. So, I found an interesting answer to the question that I originally Googled. The Akashic Field is where karma is stored, and it is where we live between lives.